When horror fans last saw the soul-stealing succubus called Lorelei, she was battling cultists seeking to resurrect the Elder Gods they worshipped, in the pages of the critically acclaimed graphic novel Lorelei: Sects and the City. 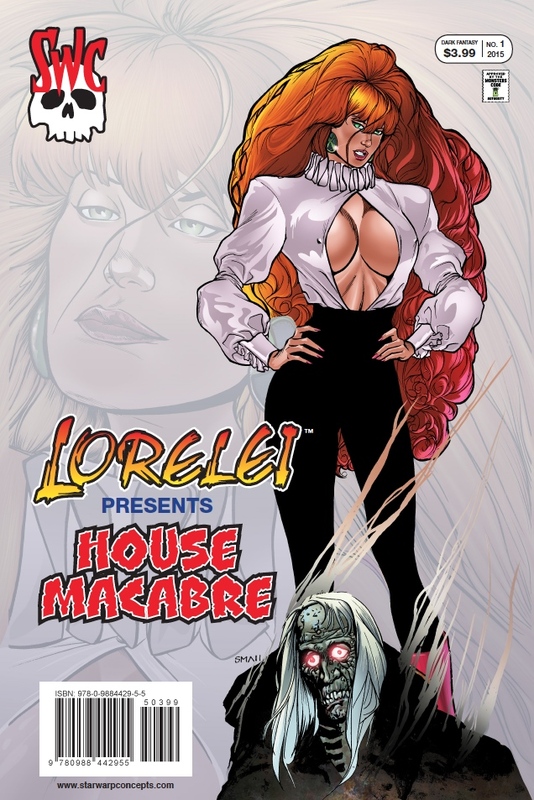 Now, the redheaded sexual demon returns to comics in her latest project from independent publishing house StarWarp Concepts: LORELEI PRESENTS: HOUSE MACABRE, which goes on sale January 28, 2015. Lorelei Presents: House Macabre is a 24-page, one-shot comic book special that finds the flame-tressed seductress hosting her first horror anthology, in the tradition of such titles as Tales From the Crypt, Creepy, and The Twilight Zone. Within its pages, readers will find tales by Lorelei creator Steven A. Roman (bestselling author of X-Men: The Chaos Engine Trilogy) and New York Times bestselling coauthor Dwight Jon Zimmerman (Lincoln’s Last Days). Zimmerman is also the former comics writer of such titles as Iron Man and Sensational She-Hulk. Leading off the special is “The Old Dark Manse,” by Roman and artists Uriel Caton (JSA Annual, The Ex-Mutants) and “Chainsaw” Chuck Majewski (Harvey Kurtzman’s New Two-Fisted Tales), in which Lorelei welcomes readers to the decrepit old mansion called House Macabre. 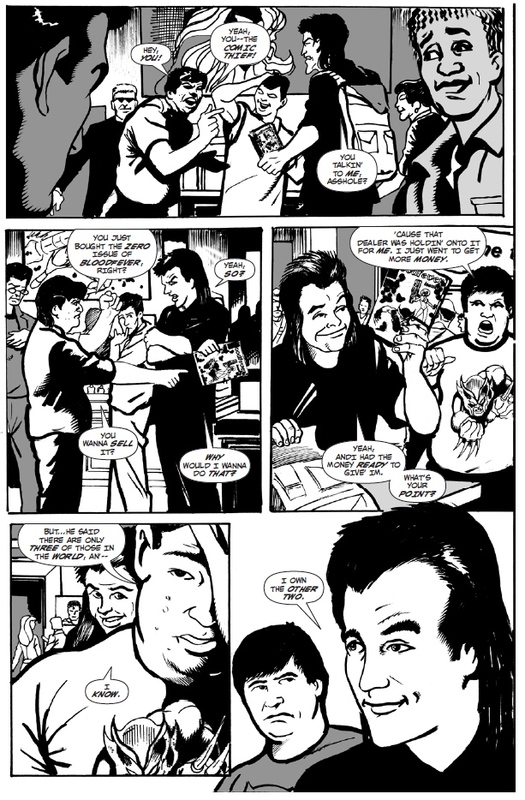 In “All in Color for a Crime,” by Roman and artist Lou Manna (T.H.U.N.D.E.R. Agents, Young All-Stars), a rare collectible is sought after by two comic book fans—with one of them having a distinct, and deadly, advantage over the other. “The Basilisk,” by Roman and artist John Pierard (Graphic Classics: Horror Classics), is a one-page history of the lethal mythological creature that can turn its prey to stone. 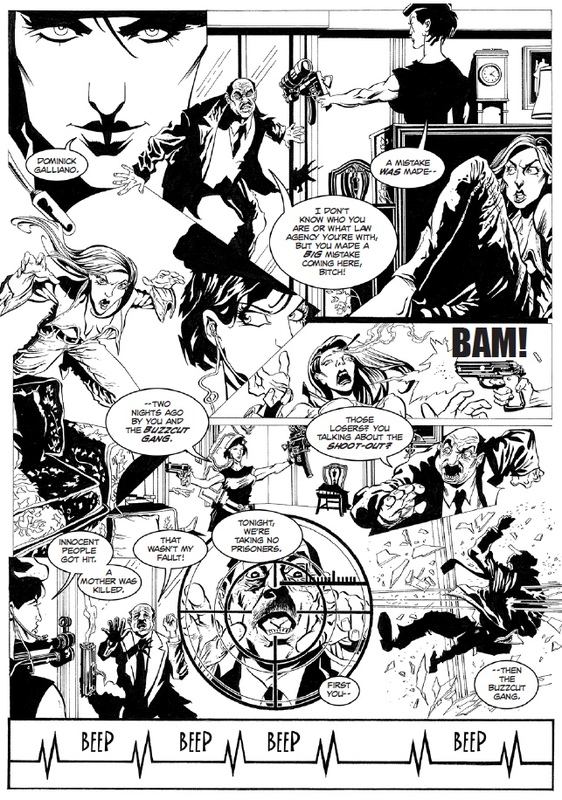 Closing out the issue is “Requiem for Bravo 6,” by Zimmerman and artist Juan Carlos Abraldes Rendo, in which a special ops team goes on a life-or-death mission that has a special twist. Providing cover art for Lorelei Presents: House Macabre is renowned “bad-girl art” specialist Louis Small Jr. (Vampirella, Vampirella Strikes, Codename Knockout). The print edition of Lorelei Presents: House Macabre is priced at $3.99 U.S., and is available exclusively from the StarWarp Concepts webstore. The digital edition is priced at $1.99 U.S., and will be available from the StarWarp Concepts webstore and DriveThru Comics, with other e-comic distributors to follow. For more information on the company and its titles, please visit www.StarwarpConcepts.com.